Luis Barragan is renowned Mexican architect and engineer, best-known for serene and graceful landscapes that include elegant houses, beautiful gardens, magnificent plazas and artistic fountains. His work is often described as minimalistic and reflecting the natural elements of water, timber, stucco and pure planes among others; along with being lavish and extravagant in texture and colors. He is the recipient of the prestigious Pritzker Architecture Prize. 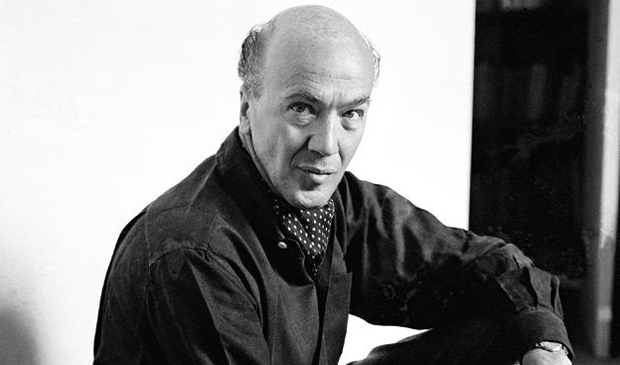 Luis Barragan was born on March 9, 1902, in Guadalajara, Mexico. Luis belonged to an affluent family, his parents owned a ranch near Guadalajara, Mexico, and that is where Luis grew up. He attended the Escuela Libre de Ingenieros (Free School of Engineers), and in 1923, he received his degree in civil engineering. He continued his studies in architecture, and Luis conducted extensive reading and travelling to influence and inspire his aesthetic sense, and advance his knowledge. He travelled to France, Italy, Spain, and Greece, during his travels he began to encounter the works of several influential and eminent scholars, including the German-born French landscape architect and illustrator Ferdinand Bac. In 1931, he lived in Paris, where he attended the lectures of famous architect, Le Corbusier. Towards the late 1920s, Luis began his affiliation with the popular movement, Escuela Tapatía or Guadalajara School, which advocated the devotion to regional, cultural and traditional designs in architecture. Luis’ time in Europe ended in 1936, his stay in Europe, and later in Morocco, influenced his fascination with the traditional architecture of the Mediterranean and Northern Africa, this interest is also demonstrated in some of his projects, developed in his native country. He returned to Guadalajara, and began developing new methods that he introduced as “emotional architecture”, these designs by exuding an air of serenity and tranquillity, encourage peacefulness and meditation. In 1935, he relocated to Mexico City, where he opened his own practice, and began developing iconic structures based on the methods and principles he had learned at the International School and while working for Le Corbusier, intermingled with the artistic prowess of his own designs. His projects began demonstrating a creative and elegant blend of natural sitting, simple surfaces usually concrete or massive walls of stucco, water, exuberant use of color and much more. In 1943, he began constructing the iconic “El Pedregal” or The Lava, a subdivision of Mexico City. Most of the projects undertaken by Barragan are located in Guadalajara and Mexico City, his most celebrated works include the Houses he developed around the buildings at 20-22 Calle Ramirez, Tacubaya district, Mexico city; numbers 10 and 12, Avenida de las Fuentes, the Prieto Lopez House, the San Cristobal Stables/Egerstrom House, the Galves House and the Gilardi House.